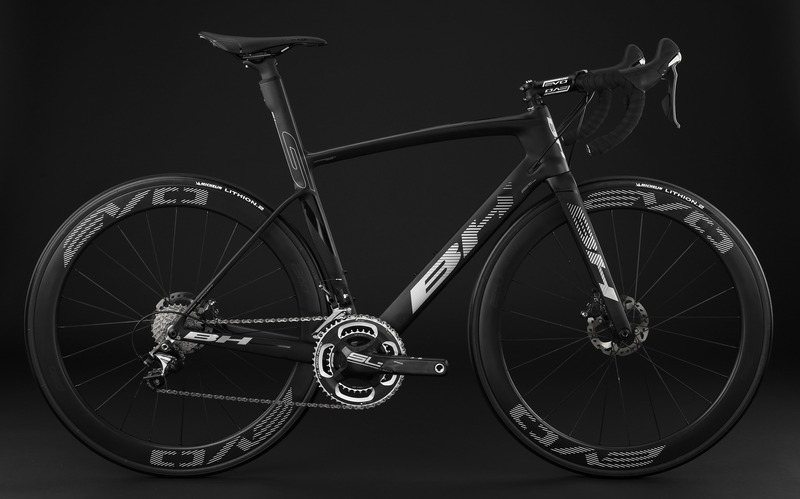 BH Bikes presents its most technologically advanced and safe bicycle up to now. The G7 Disc represents the results after years of experience and development by the BH Bikes R&D Department. Each frame detail has been designed based on rigorous computer analysis derived from wind-tunnel tests, with a clear objective: improve aerodynamic efficiency maintaining structural stiffness of the unit. The integration of disc brakes makes the G7 Disc a precision bicycle even in the most unfavourable conditions. The down tube and fork cross sections, fully integrated into the steering post, reduce the creation of turbulence by causing a lineal airflow. The rear part with its low stays means a substantial improvement in aerodynamic response and transfers the forces towards the gravity centre. In addition, the innovative seatpost clamp system also contributes in reducing air resistance and reduces pressure on the frame and on the seat-post itself, which in turn can house the battery for the Di2 electronic groups. A lightweight, stiff and reactive frame was needed for the design of the G7 Disc; this was possible thanks to the perfect combination of Pitch Fibre and Toray T24 Fibres. Lateral rigidity was also increased thanks to the over-dimensioned steering post, the Press Fit 386 bottom bracket and the new 12mm through axles, that allow obtaining maximum performance from each pedal-stroke. G7 Disc geometrics maintain the BH Bicycles competition philosophy. Its sloping situates the gravity centre lower, allowing easy and agile manoeuvrability. Moreover, its compact rear immediately transmits each pedal stroke to the rear wheel. The G7 Disc strong point is its braking capacity. The frame has been designed to support the forces created by each braking action and to adapt the new FlatMount standard aerodynamically housing the braking clamps closer to the rotor axles. BH Bikes launches three replica models of the Direct Energie bicycles.